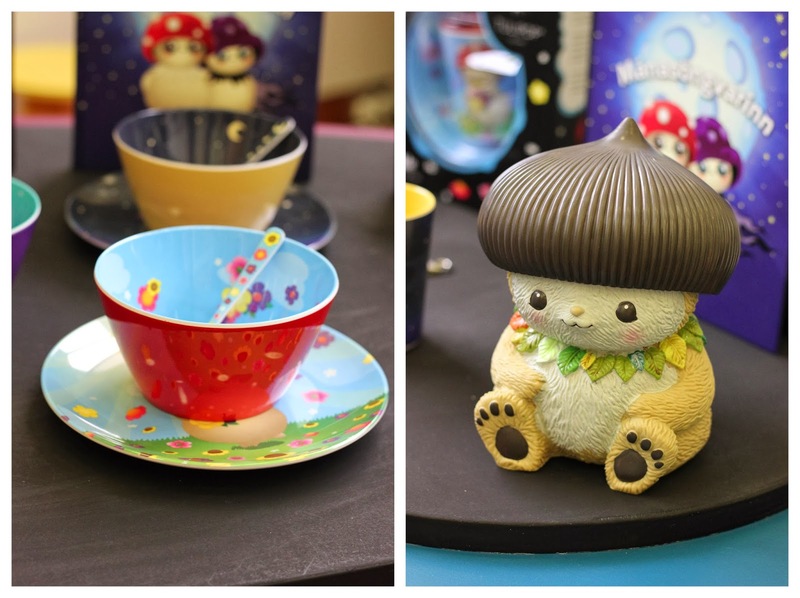 We were lucky enough to be invited to the UK press launch of the wonderful children's homeware brand all the way from Iceland - Tulipop. The event took place at the Icelandic Embassy in London and it was a fantastic little day out for Mr A and I. 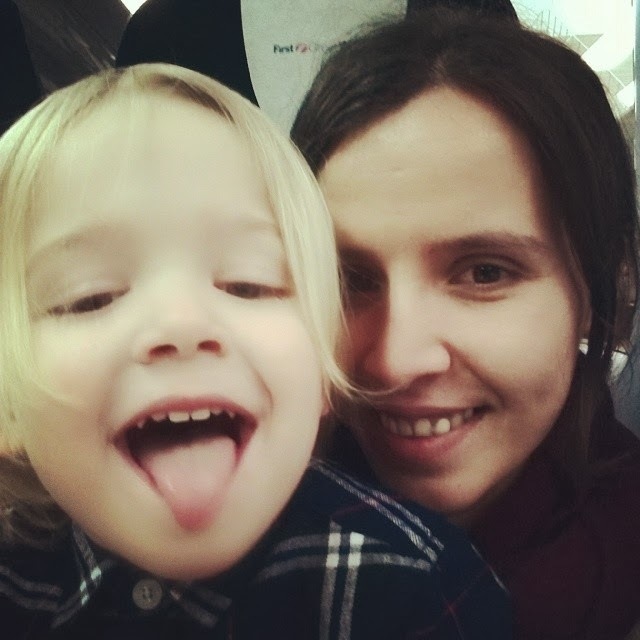 We ventured to the big smoke from Wales, despite flooding and the underground strike our travel was pretty stress free as the little man loves nothing more than going on the "fast train" to London. 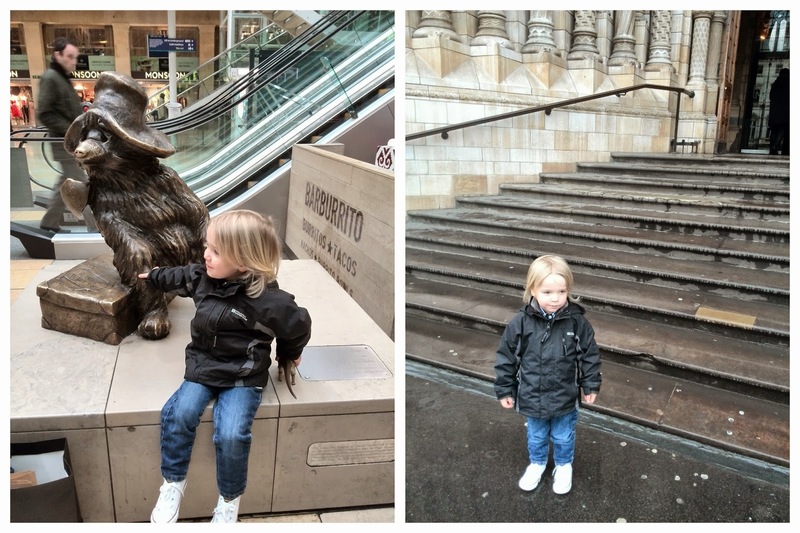 He is so fascinated by that city and who would't be - London is an amazing place for big and small and is a creative hub which made the perfect place to view the quirky and inspiring Tulipop collection. So what is the Tulipop all about? Let me start from the beginning, during the rescission this colourful company was born by the talented Signy and Helga in their home country of Iceland in 2010, with a joint dream to create something original that they themselves would want to buy their children. It has gone from strength to strength and become an award winning brand that is recognised for being cool, fun and something a bit different. 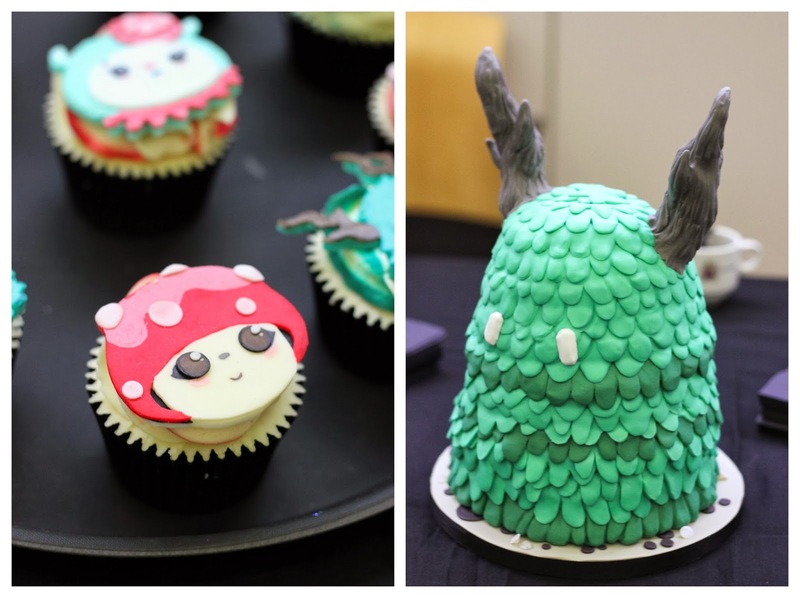 On arrival we were treated to some amazing Tulipop inspired treats, baked by the super cool Tattooed Bakers. Mr A wolfed down a Bubbles cupcake and I instantly feel in love with the Mr Tree cake - seriously can I have this cake for my 30th birthday this year, how amazing would that be? It was great to have a chance to speak to the creators of the brand and get a real sense of what it's all about. I love all the characters and there is so much more than meets the eye and they have really created a whole encompassing magical land where all these characters interact with each other. There is a lot of inspirations from nature and we are both big fans of Mr Tree - the old, wise, good hearted gemstone collector, as well as Bubble, Gloomy, Fred and Miss Maddy the circus star. Tulipop have also collaborated with Unicef to create the cutest little coin bank in the form of this acorn-hat wearing squirrel, which Mr A played with, until he discovered the piano and colouring station that is. 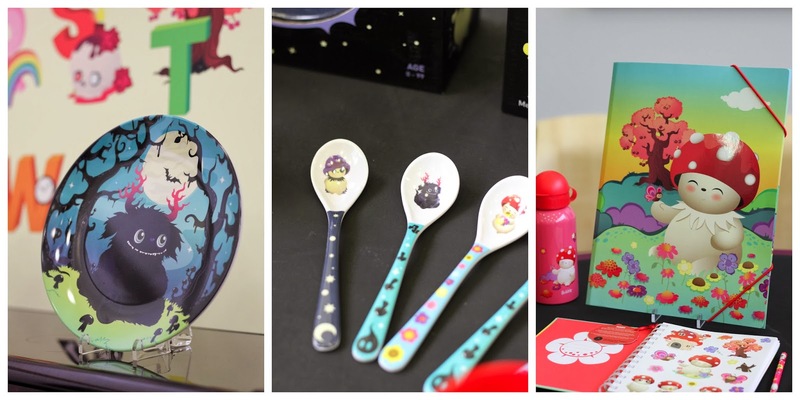 From dinner sets, cutlery, water bottles to home wear such as Mr Tree lamp and beautiful ABC posters and stationary sets there is something for everyone and I was really impressed with the quality of all the items and how well made everything is. There is a real Scandi design feel to the products and I am very tempted to pick up a Mr T lamp for our living room, simple because he is a super cool dude. I think it's really exciting to see Tulipop come to the UK and supporting a small and exciting mumtrepreneur brand. 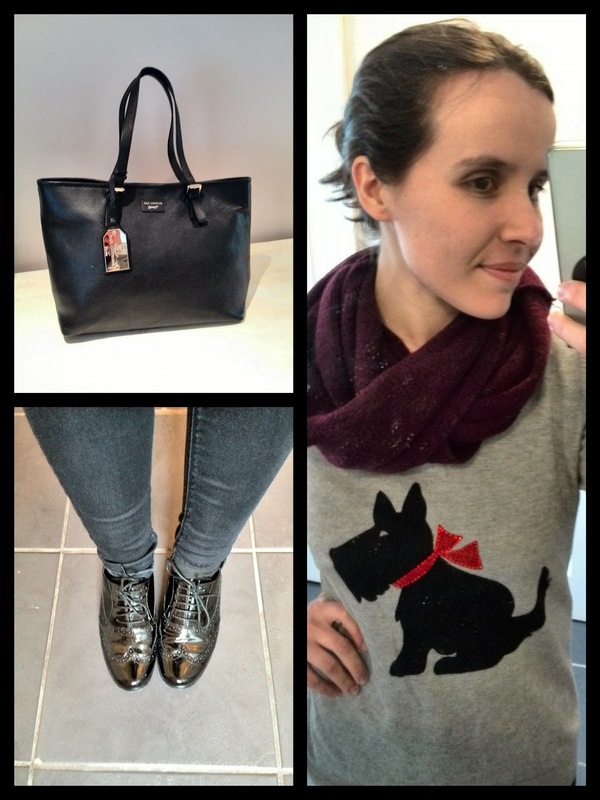 As we were going to be running around London for the day I decided to go with something fairly practical and comfortable but also fun, so decided to rock my little M&S Scotty Dog jumper, paired with a knitted snood, my topshop black skinnies and Clarks brogues with my Paul Costello bag. Mr A rocked a Howick shirt with Min Club jeans and white converse. After the Tulipop event we made our way the Natural History Museum where we had a look around the Dinosaur exhibition, which is always highlight for the little man, after which we had a spot of lunch before heading back to Paddington Station so the little man could say hello to Paddington before heading back home. As always we had an amazing time and cannot wait to be back in the big smoke later this month to see one of my best friends who has come over from South Africa. Mr A is already asking if we can go to the zoo. I love everything Scandinavian! These look really sweet, I especially love that Mr Tree lamp - I'd quite like that in my room!! Looks like a lovely brand! Sounds like an awesome trip to London, and that Mr. Tree lamp is just amazing! 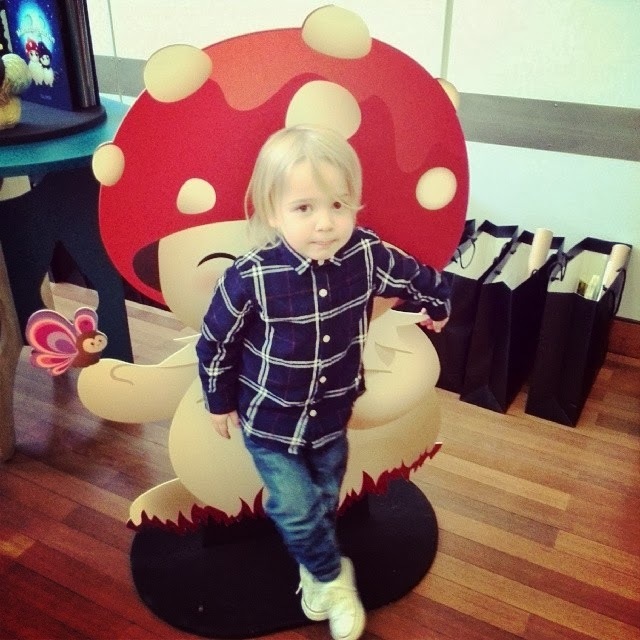 I haven't been to London with Theo for about a year now, and am feeling that another trip is on the cards soon now that I know there's so much more he will enjoy being that little bit older. Looks like you guys had a fun day in London discovering cool new products. 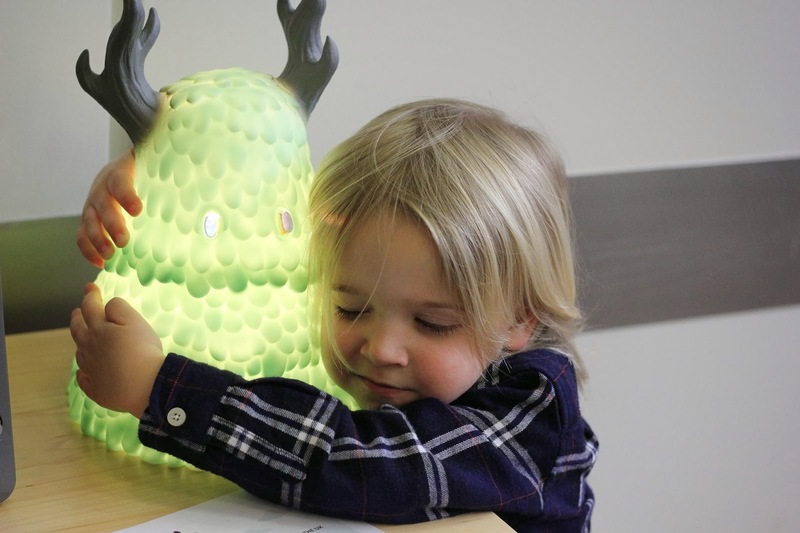 I am totally loving the Mr Tree light, f would go crazy for it! Looks like a lovely day and I love your outfit. Just realised seeing your MADS note, there is no style category this year? Really hope we might both be there again, such a fun night last year. that squirrel coin bank! also, loving your top.